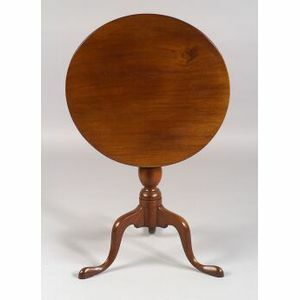 Chippendale Mahogany Tilt-top Table, New England, c. 1780, the circular top on a bulbous vase and ring-turned support and tripod cabriole leg base ending in pad feet on platforms, refinished, (top reduced in diameter), ht. 26 1/2, dia. 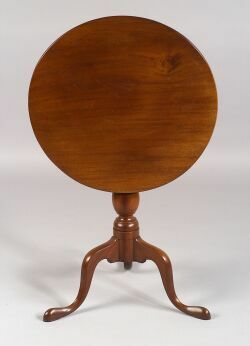 22 3/4 in.